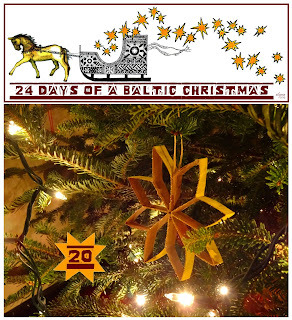 Femme au foyer: Another Baltic Christmas - Day 20, auseklis! Lauris’s winter vacation has begun! 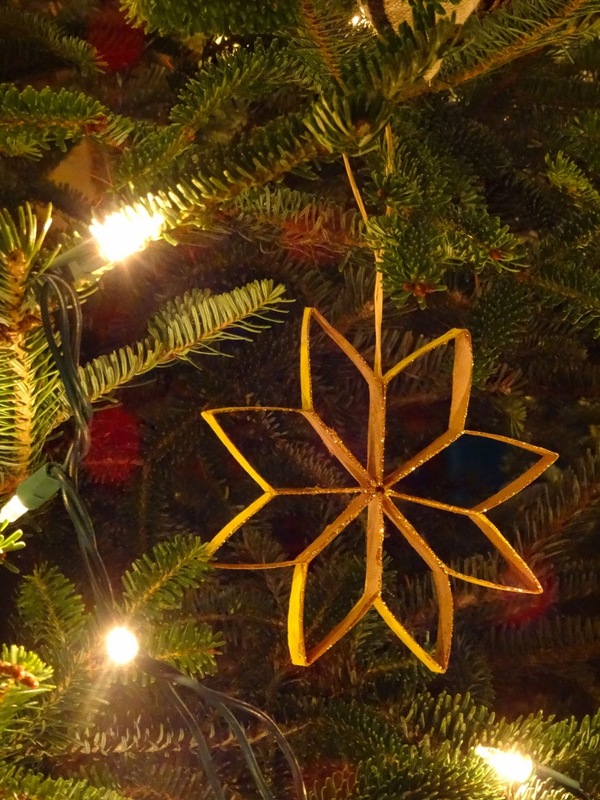 Every day the boys are abuzz with all the things they want to do and see, and it takes all I’ve got to keep up with them, take care of the things that need doing, and see to it that the boys check off everything on their Christmas to-do list! 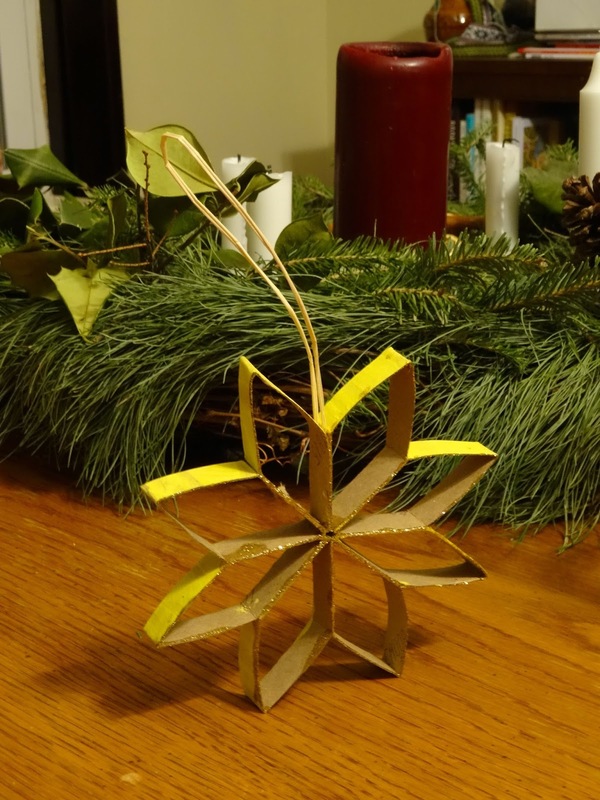 Luckily we’ve got a handful of simple crafts left for those quiet moments in between outdoor adventures, such as this easy auseklīts ornament. 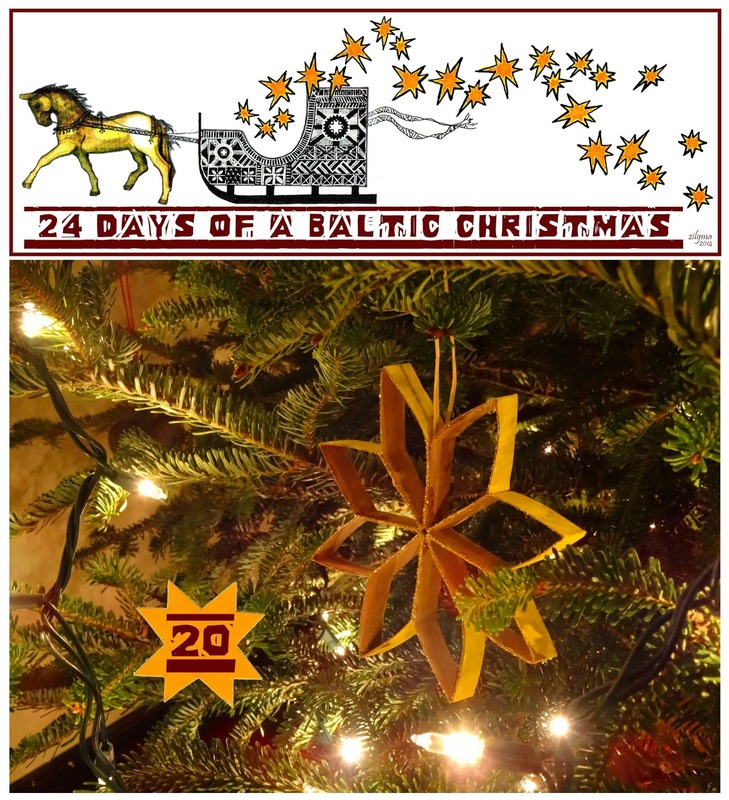 Although it was my sister Zinta who elaborated on this Baltic symbol last year on Day 21 of the 24 Days of a Baltic Christmas, it was my mom who suggested the craft, showing off her finished auseklis via a skype conversation last week. 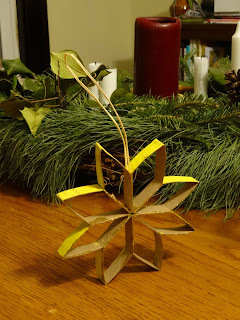 Considering the ornament is made from a toilet paper roll, it is surprisingly elegant. You take your roll and fold it lengthwise, creasing the edges with a ruler or letter opener, then repeating the step to form a square tube. This is the point that Mikus painted his, although it’s not necessary – you could also paint the finished product. 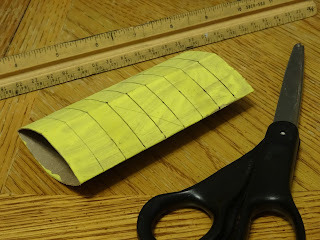 Using a ruler measure out ½ inch segments, and using scissors or a craft knife cut the tube into a total of 9 pieces – you will have one extra. Using double-sided tape, a hot glue gun or just tacky glue, glue one side of one of the squares to a second square. Then, glue a side adjacent to the one you just glued on piece two, to a third piece. 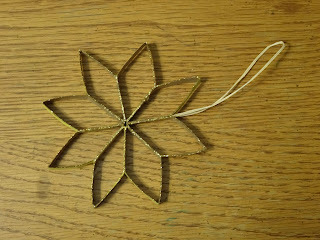 You will continue this process until you’ve glued 8 pieces together, and then you will glue the first piece to the last. Since we used glue we put off that step, letting the glue dry on the eight pieces while we had them clamped together. 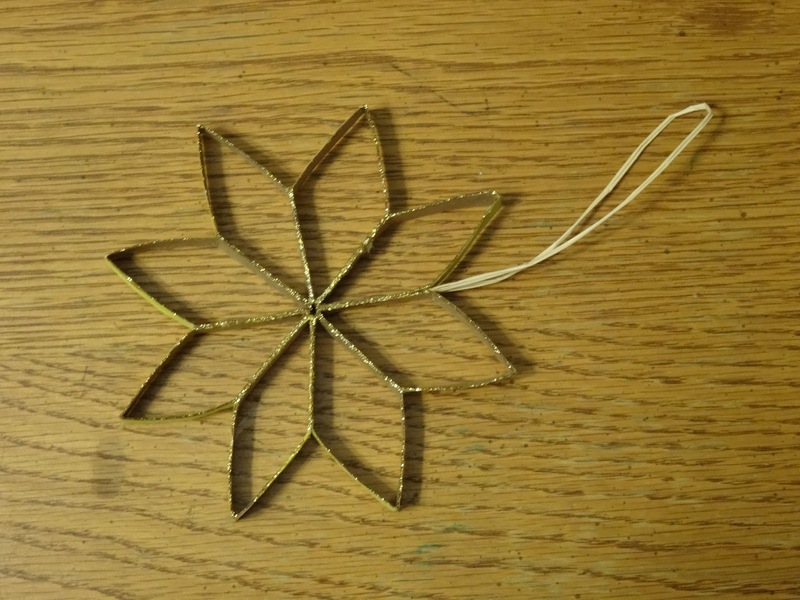 Remember to tuck in a piece of thread or string between the final pieces so that you have a way to hang your auseklis. Yours came out soo nice and precise! Skaisti!